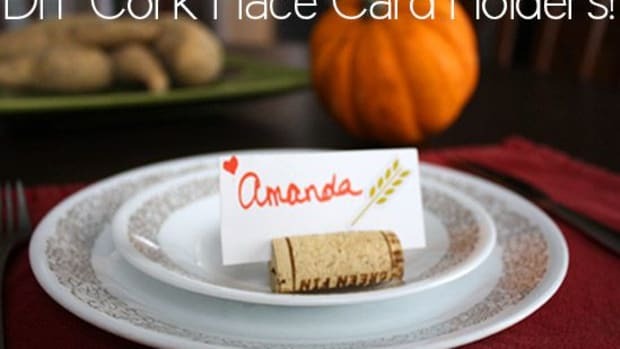 In order to showcase your snazzy Thanksgiving feast, you&apos;re going to need an equally flavorful-looking fall table. 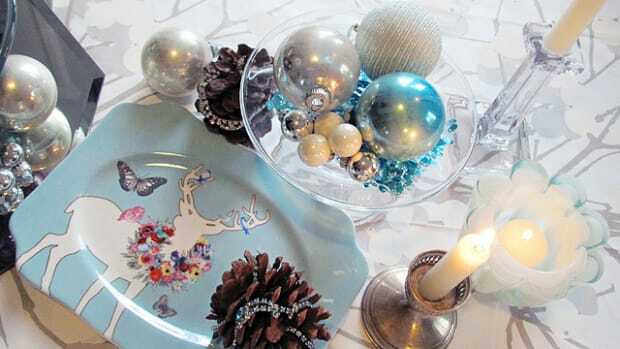 DIY centerpieces are fun to make, truly unique and can easily be customized to suit your holiday decor. 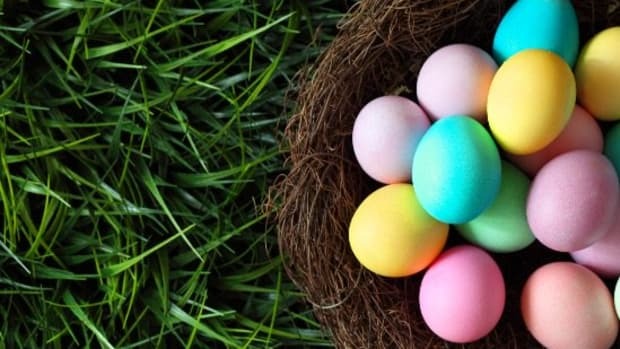 They&apos;re the perfect finishing touch to any spread, big or small. 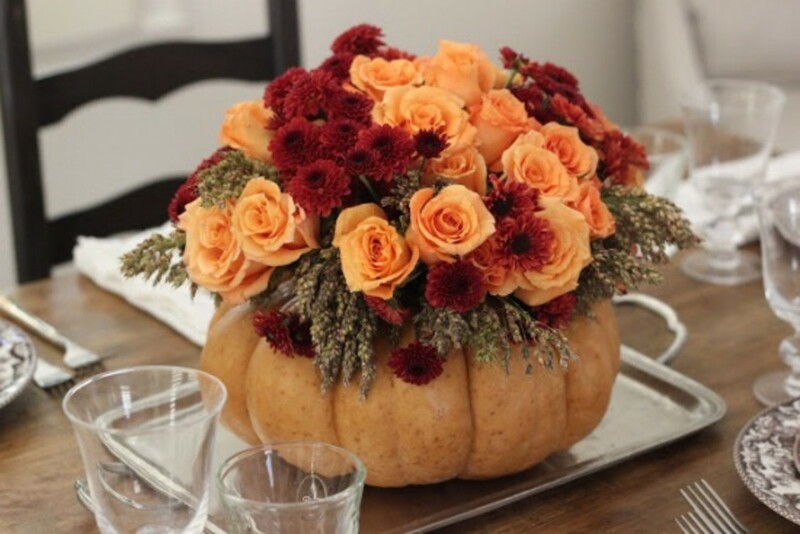 While this Pumpkin Vase features roses and mums, you can choose flowers that go with your personal color scheme - or go rustic with wheat or branches. Find a pumpkin that inspires you, then go with your gut. 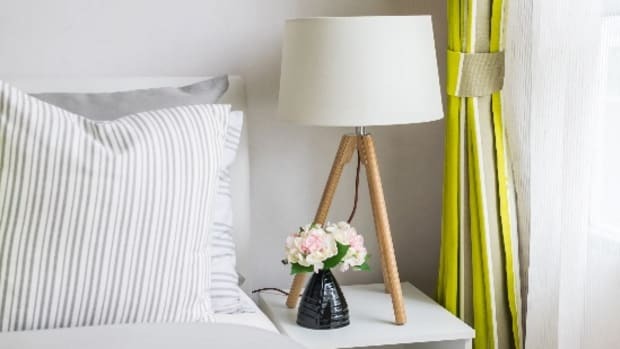 I&apos;m in lurrrv with this Log Candle Holder - and best of all, it barely costs anything to create (especially if you already have the decorative materials on hand from other crafty moments in your life). 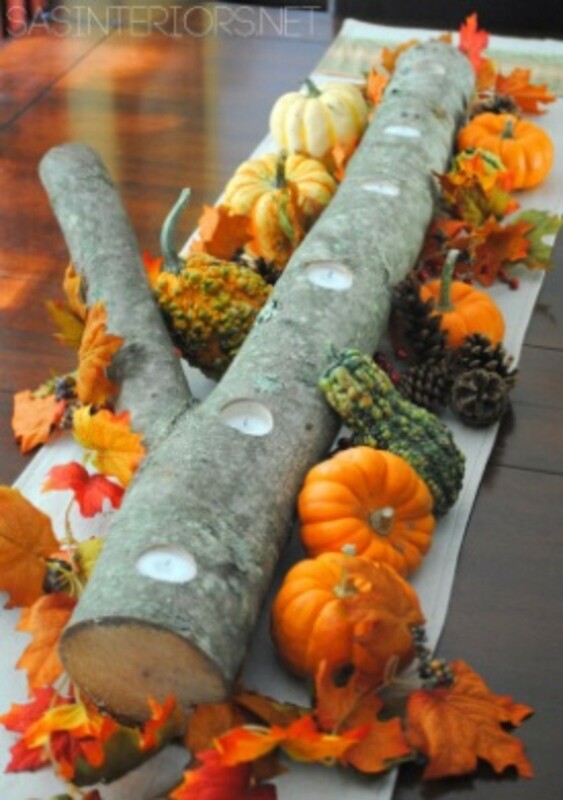 Using a drill bit, you can turn any discarded log into an ah-mazing tealight candle holder, then sprinkle pinecones, pumpkins and gourds around it until you score the effect you want. 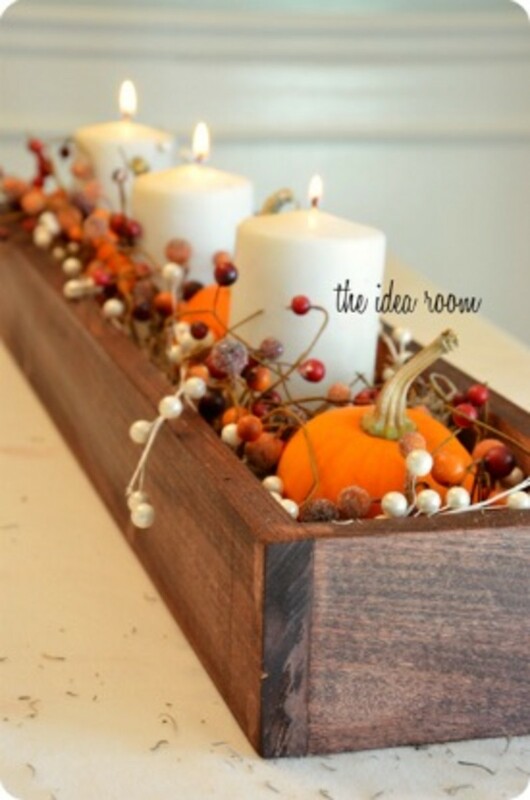 While this blogger made a wooden box for this Thanksgiving centerpiece, you could use a Repurposed Planter Box for the same effect. Fill it with spanish moss, votive candles, and other fabulously rustic fillers that go with your color pallette. 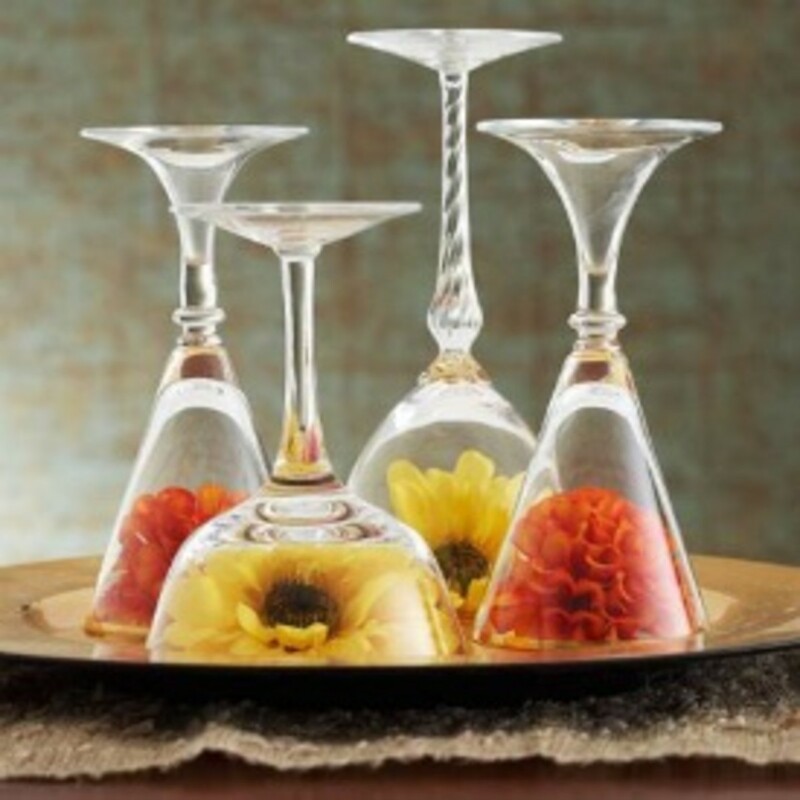 If you&apos;re like me and don&apos;t have a lot of space to work with (in other words, a full-blown centerpiece would take up your entire table), then you&apos;ll love these simply chic Flowers Under Glass. 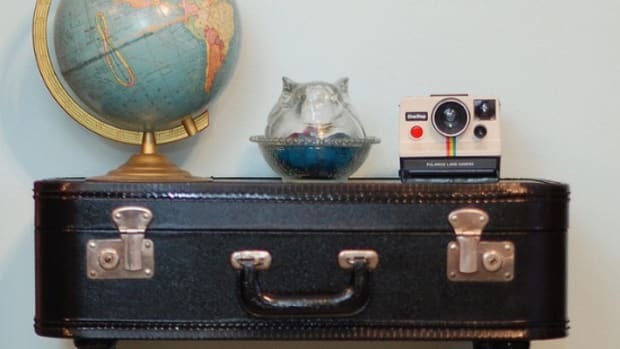 Pick up a vintage tray and some funky, mismatched drinking glasses. 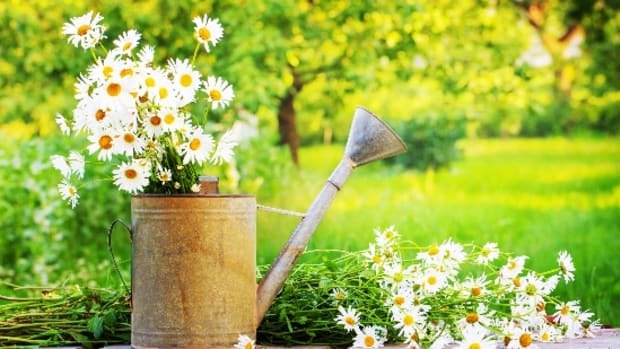 Place a single flower under each that goes with your decor and BAM - instant centerpiece. 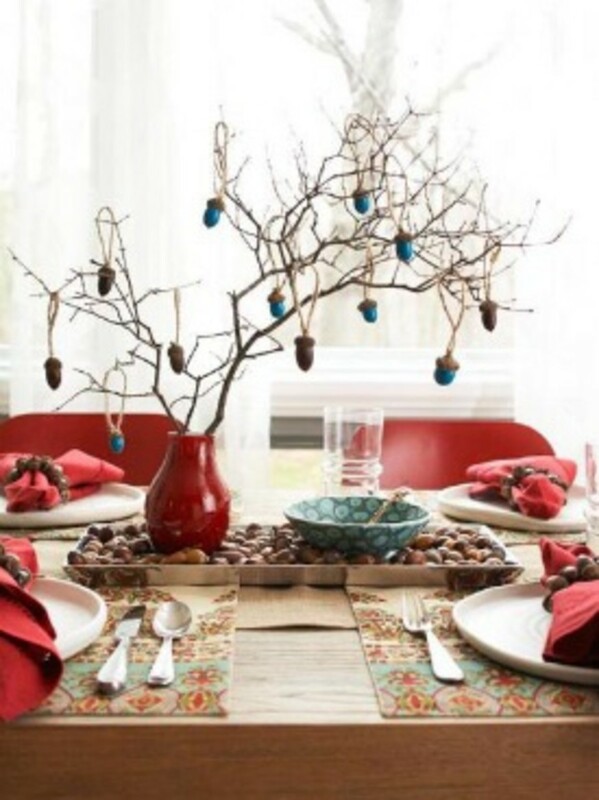 For this Acorn Tree, fill a long wooden tray with acorns and fill a vase with branches. Paint as many acorns as you please, and glue looped twine to the caps. Hang them on the branches like you would Christmas ornaments. Adorable, no? 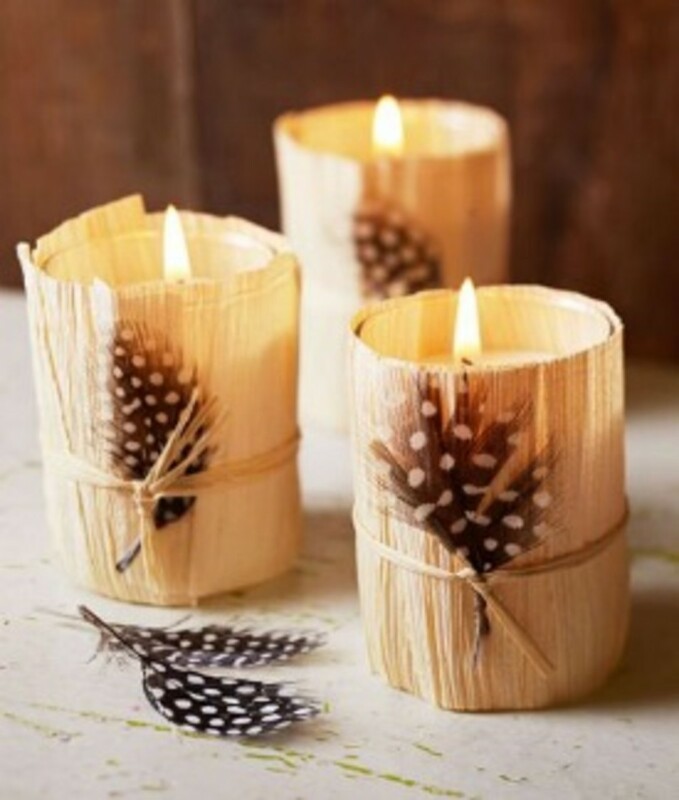 Use corn husks, burlap, and painted mesh to create festive Rustic Votive Holders. 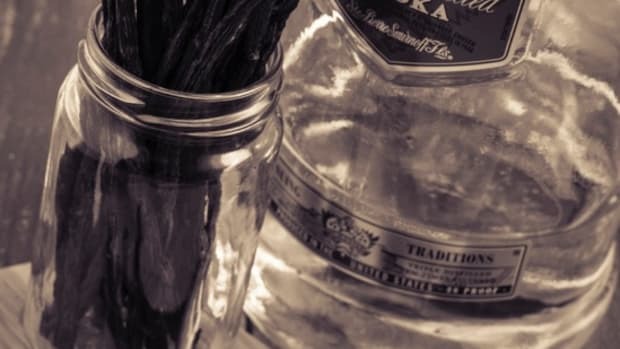 Simply wrap glass candle holders with your texture of choice, and finish off with a twine bow and feather accent. 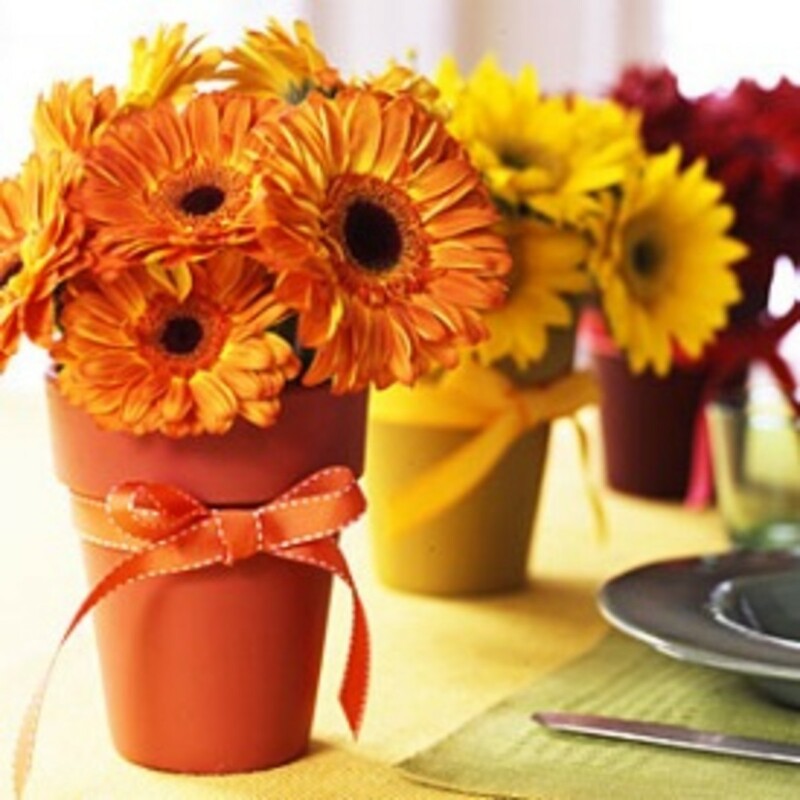 Out of all the DIY centerpieces, these Cheery Flower Pots are my favorite. The bright colors are still Thanksgiving-y, but much cheerier compared to their more rustic counterparts. 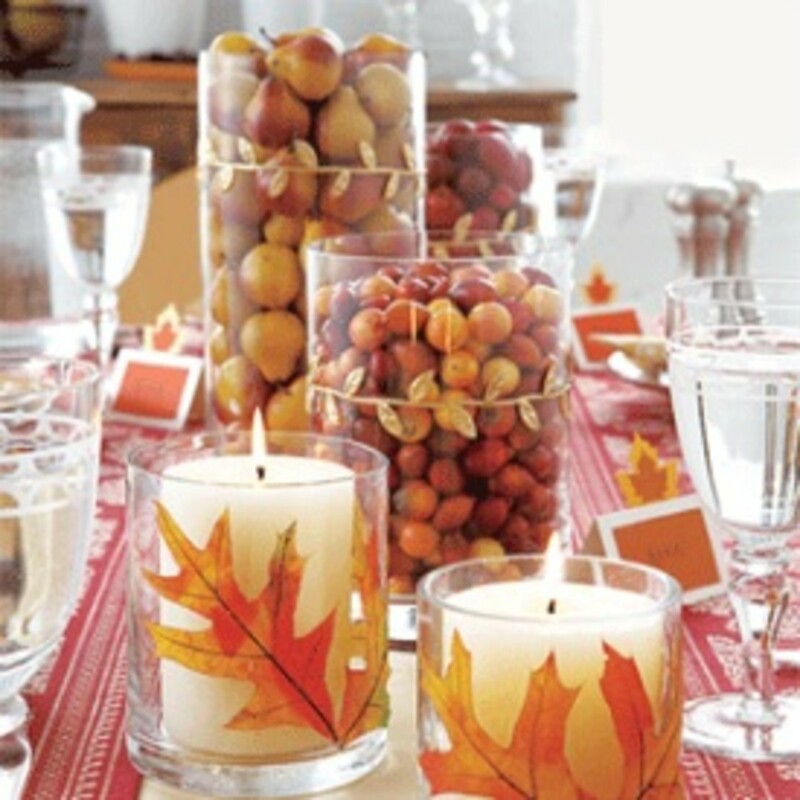 These Autumn-Inspired Cylinders are super fun: Fill them with little pumpkins, leaves, acorns, cranberries, whatever your heart&apos;s desire. Decorate the outside with leaves and garlands. 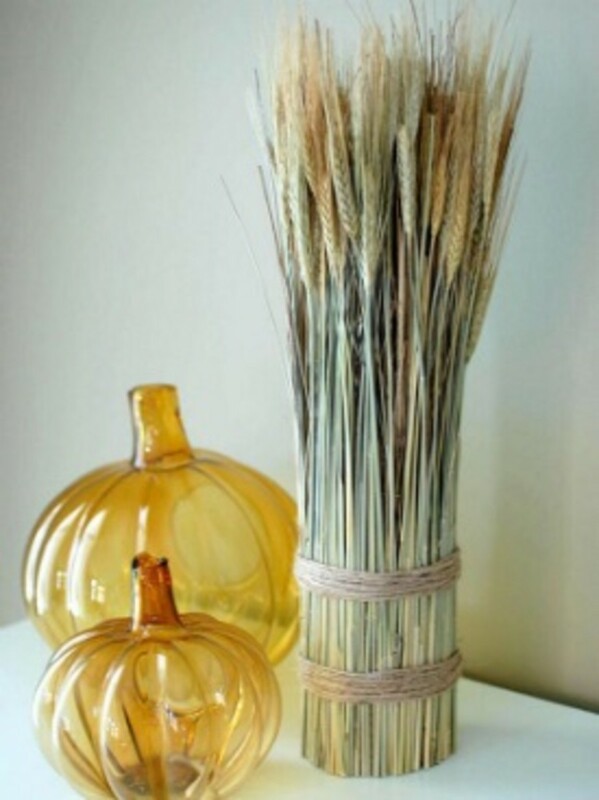 This Wheat Bundle is simple, inexpensive (under $10! 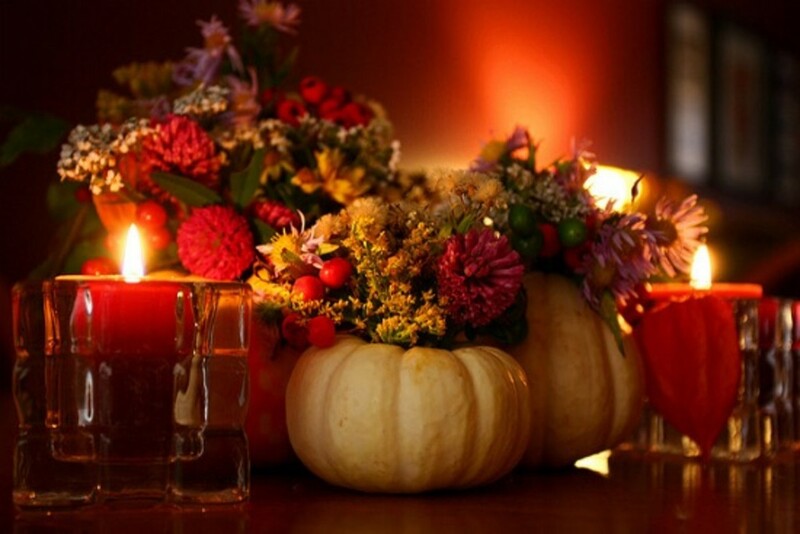 ), and would look amazing on a table runner with pumpkins and cranberries scattered around it. 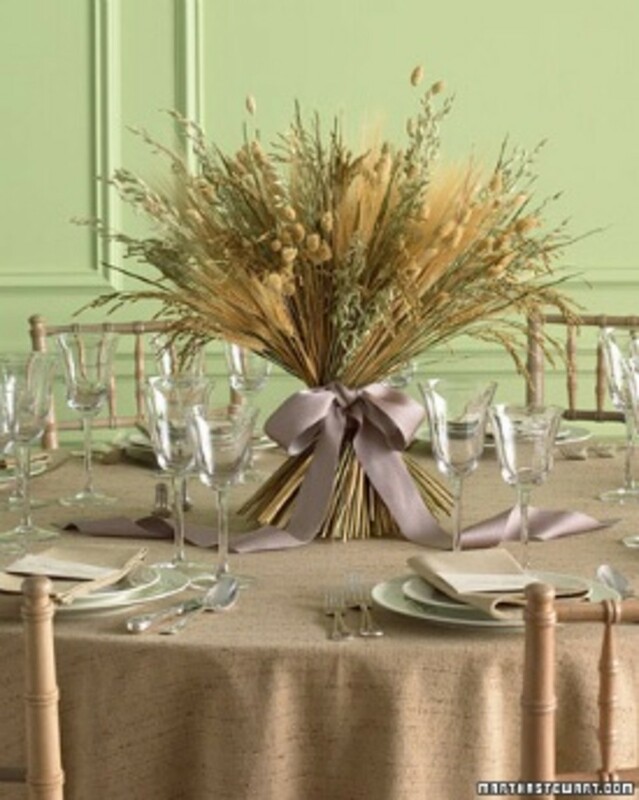 When it comes to DIY centerpieces, this is as lux as it gets: Courtesy of Queen DIY (Martha Stewart), this Harvest Centerpiece is made of wheat and other dried grasses - perfect if you&apos;re a planner and want to get your centerpiece done in plenty of time. The epic satin bow? Just icing on the cake. 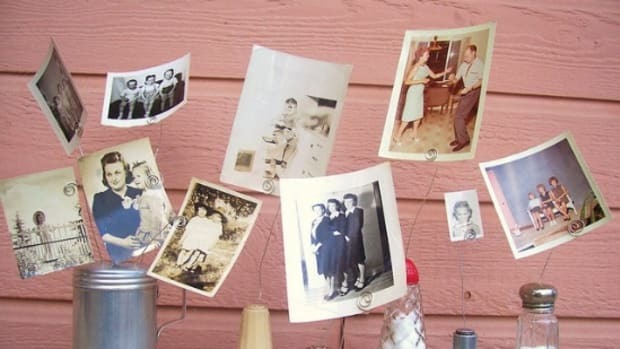 Are you planning on making DIY centerpieces this year?